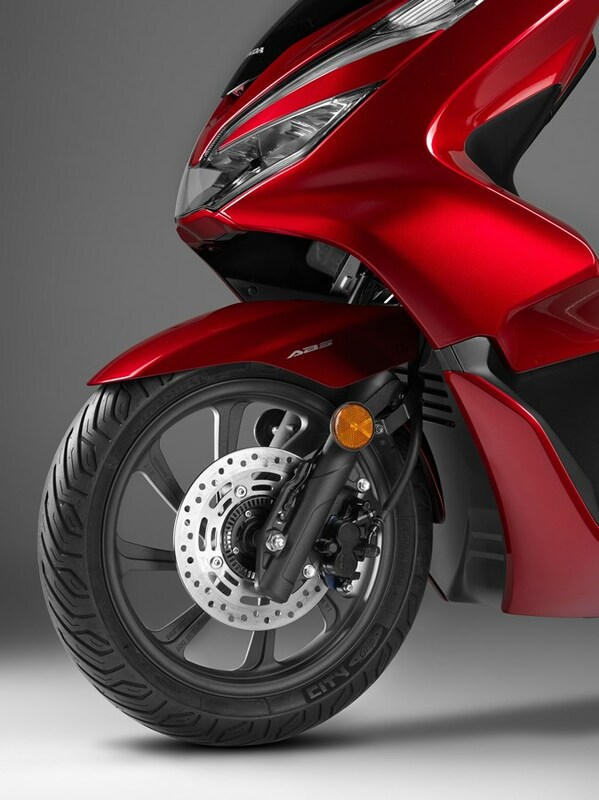 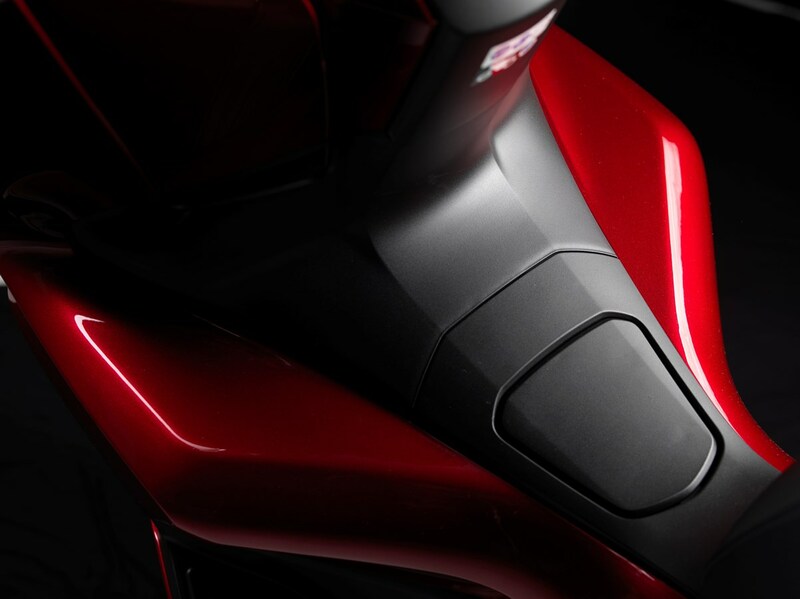 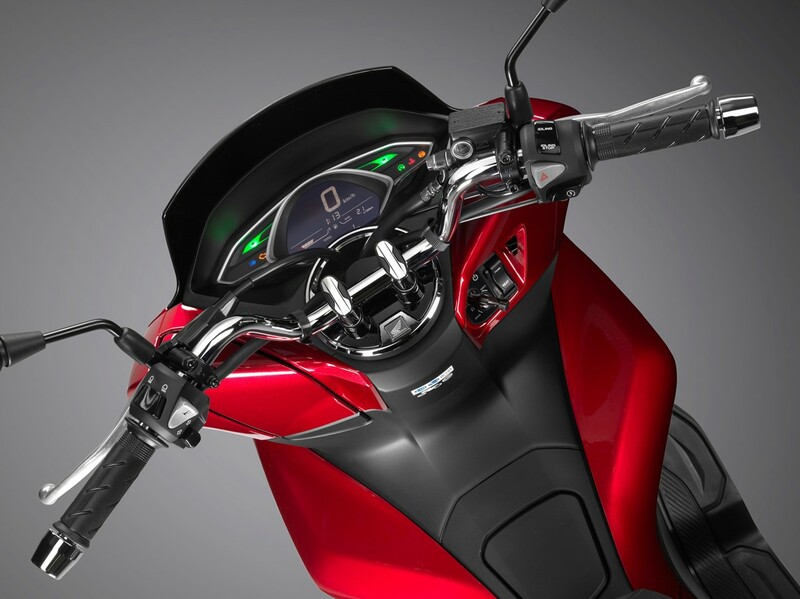 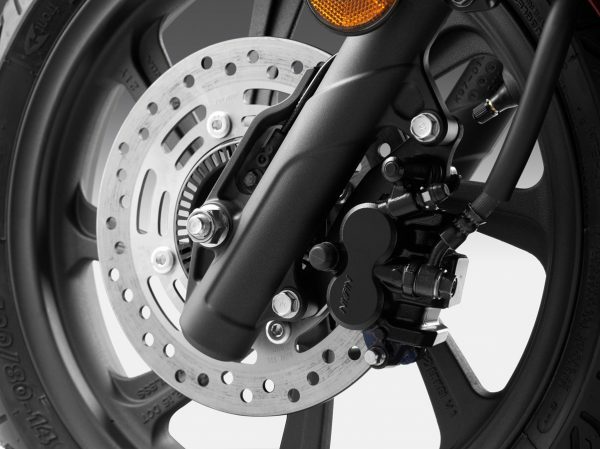 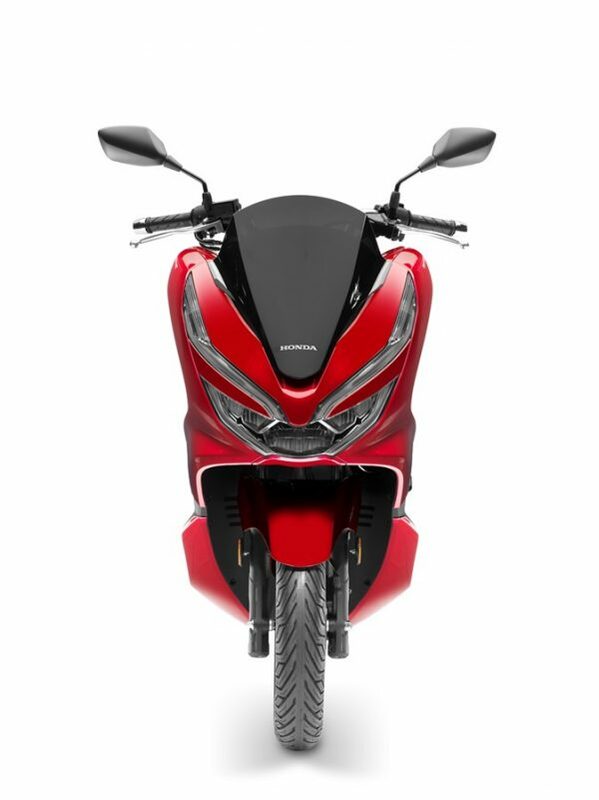 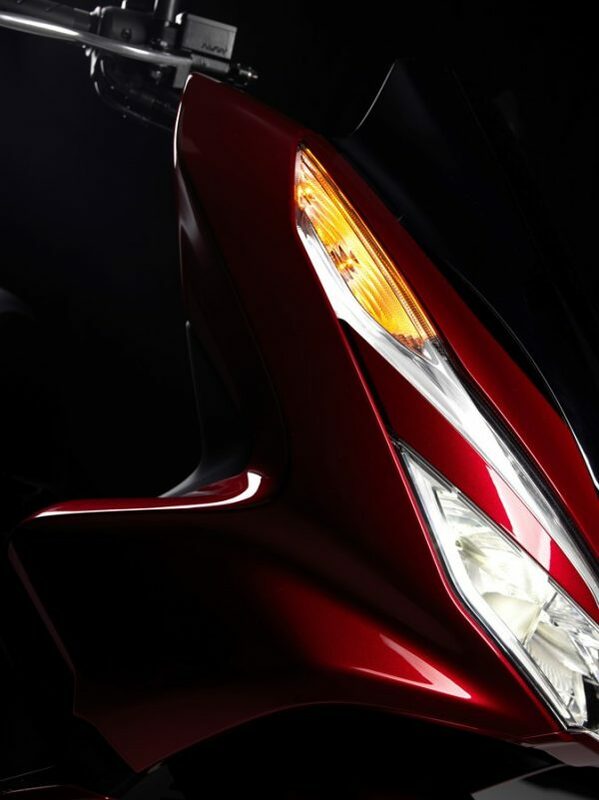 LED: From the front, the PCX125 also stakes out a strong identity; the LED headlights and razor-thin position lights slant independently upwards, with LED indicators discreetly filling out the upper, outer tips. 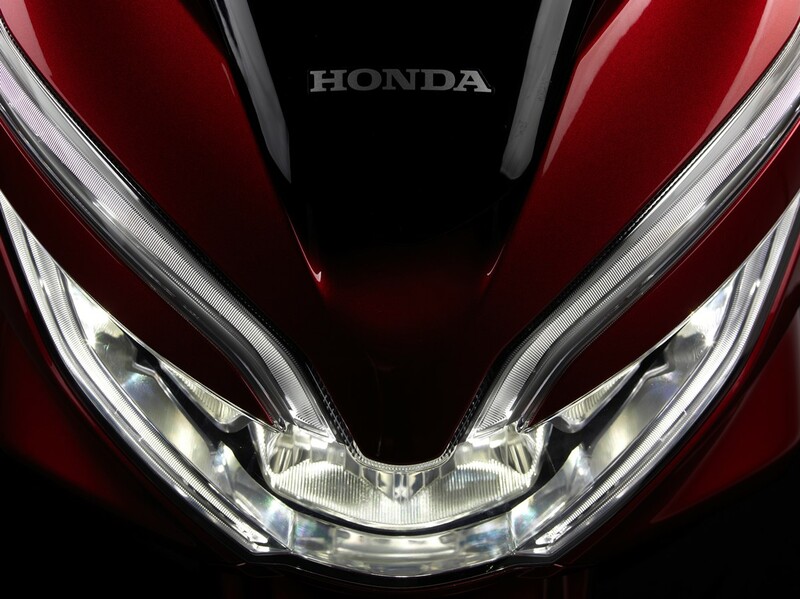 This new ‘face’ also changes subtly between high and low beam. 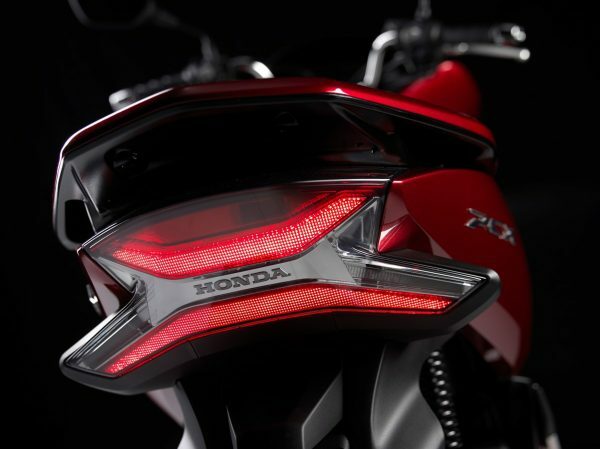 The slim LED rear tail light/indicator unit is still two-tiered, but larger in size for increased visibility. 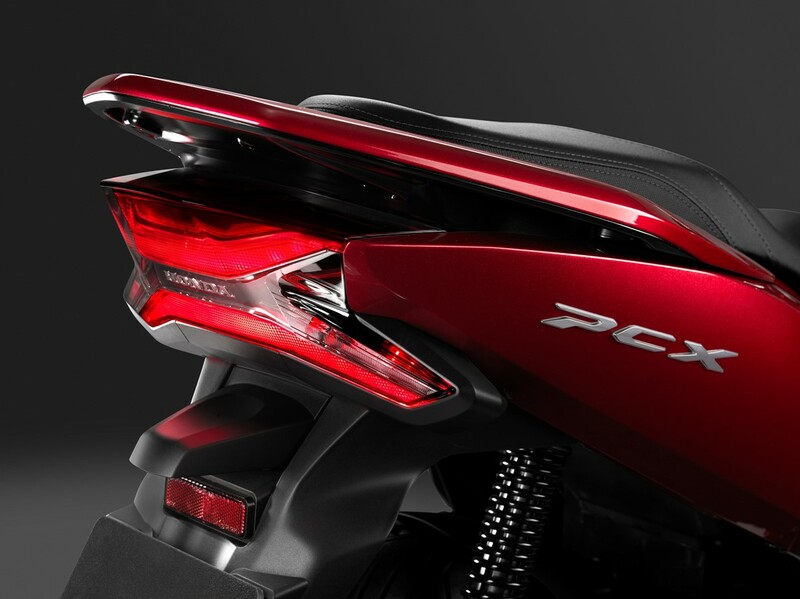 Engine Cover: Another detail redesign is the engine cover and airbox inlet, which are styled together as integrated parts. Finished in metallic silver, the engine cover emphasizes a solid mechanical strength; above it a black cover – which incorporates the air inlet – is elegantly shaped with a mixture of firm lines and softer curves. 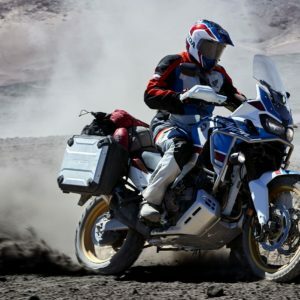 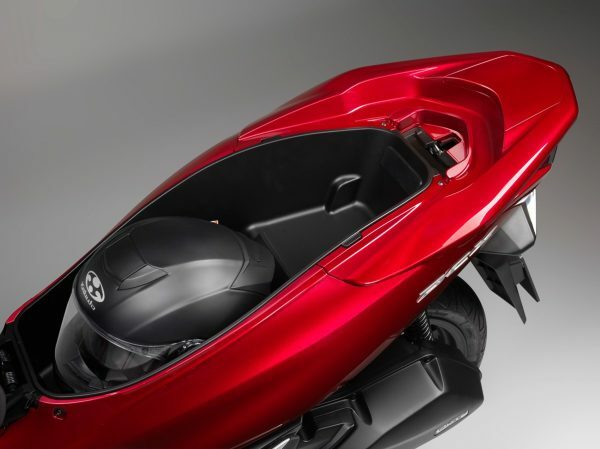 Plenty of Storage: Internal capacity of the underseat storage is 28L, and will easily hold a full-face helmet. 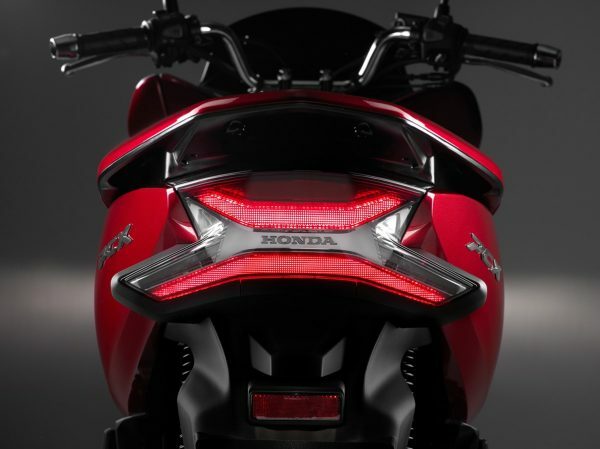 The owner’s manual and tool kit are now located on the underside of the seat. 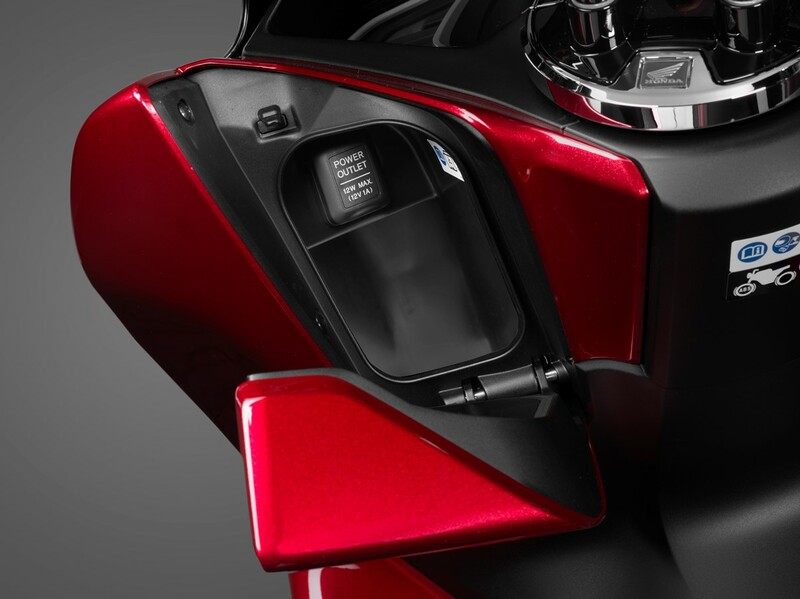 Easy to see: A new central console design presents all the information neatly and concisely in an easy-to-read format. 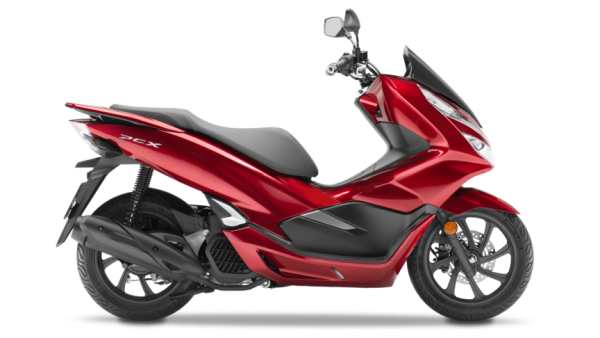 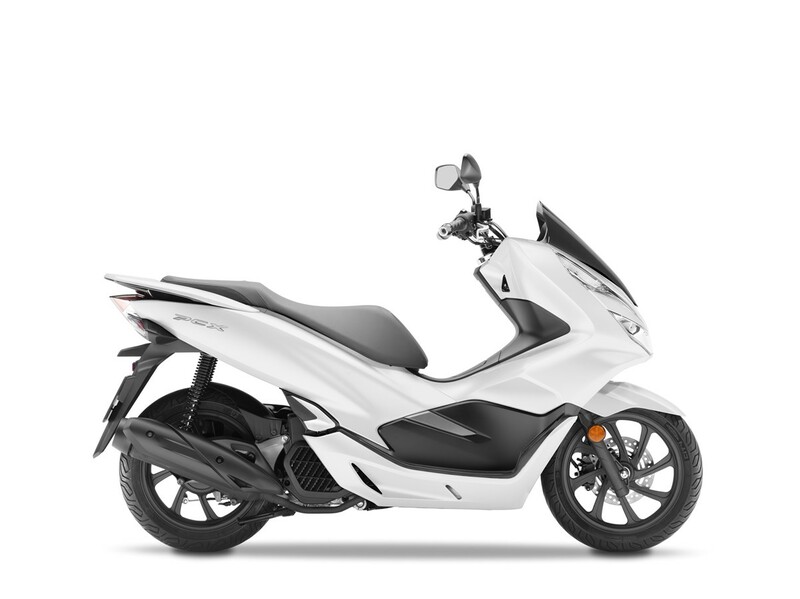 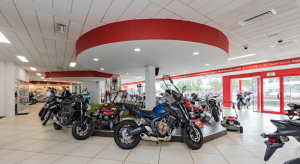 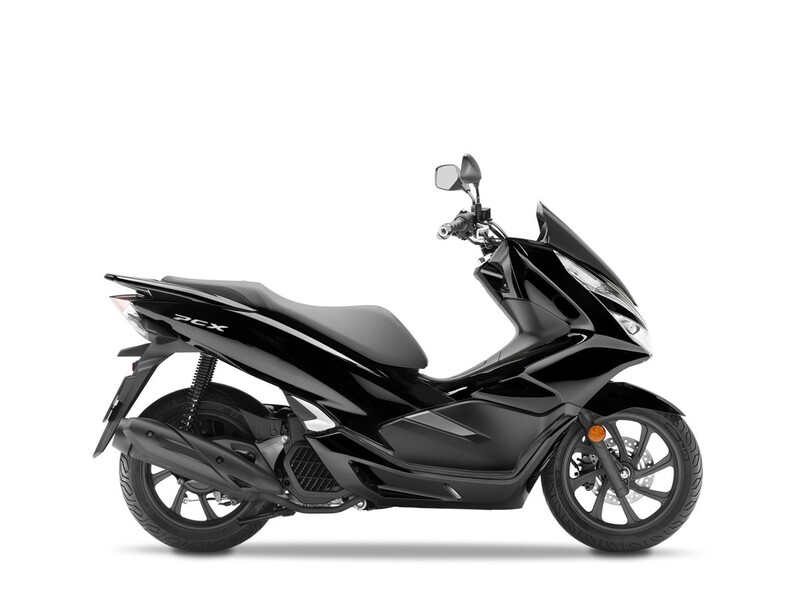 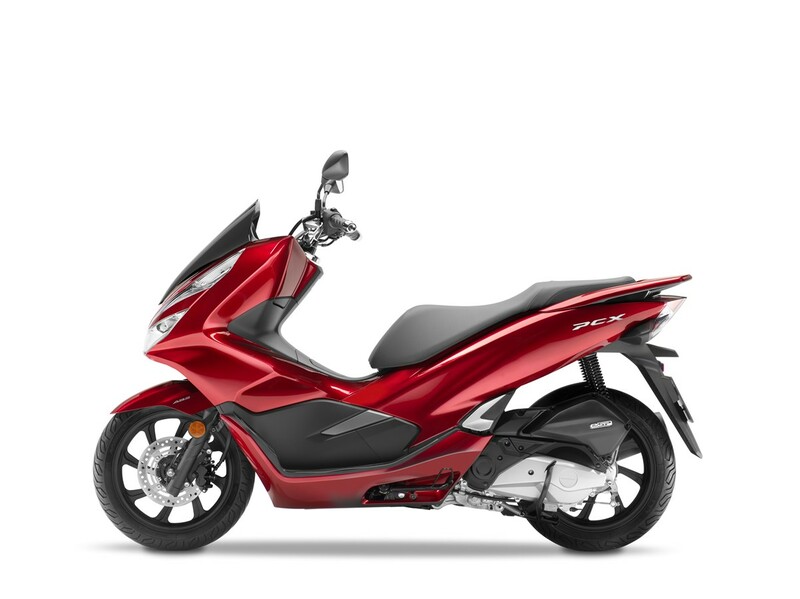 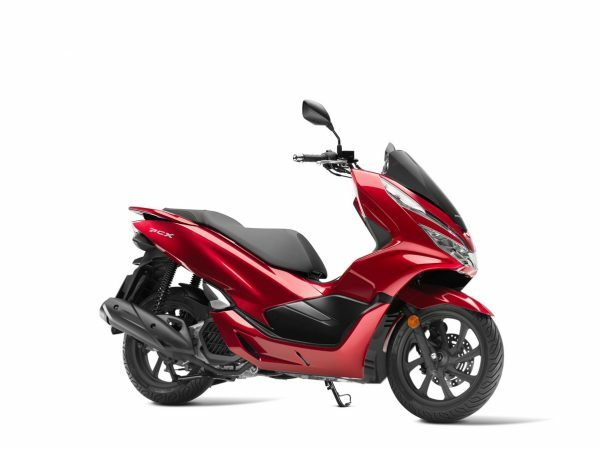 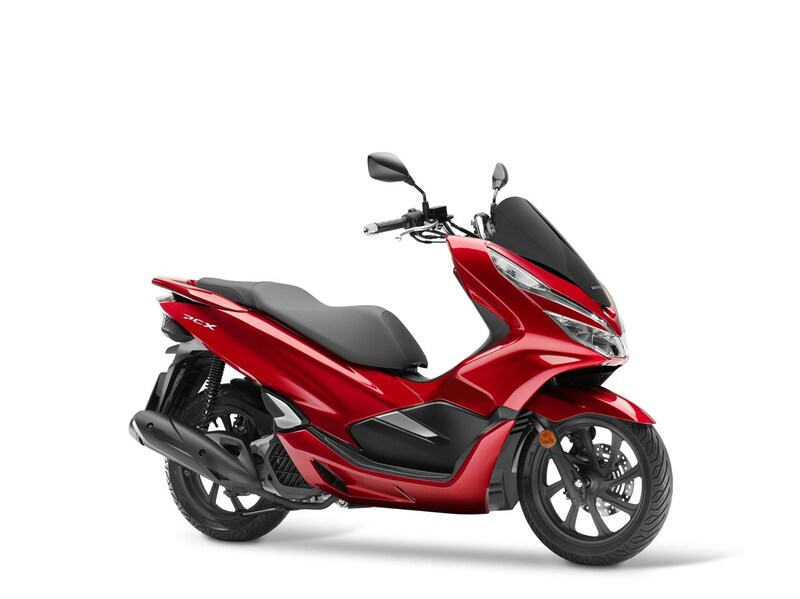 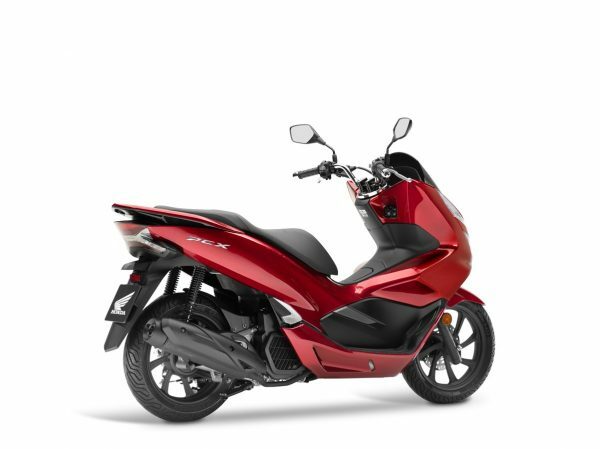 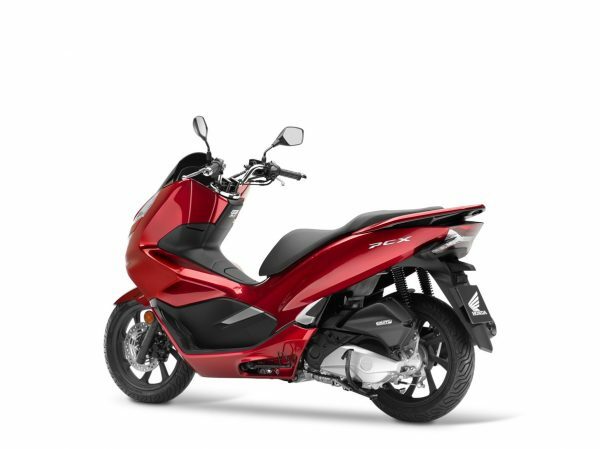 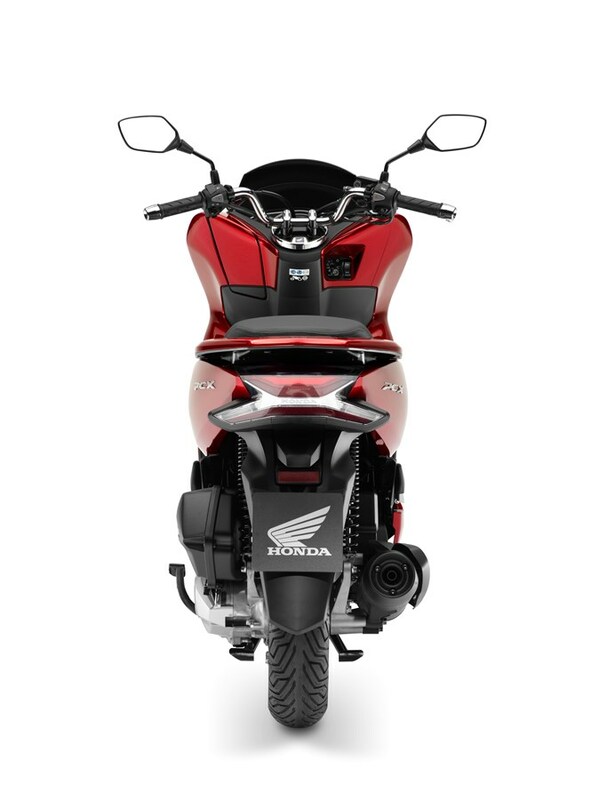 Smart Power Engine: The SOHC, liquid-cooled two-valve 125cc enhanced Smart Power (eSP) engine powering the PCX125 offers compact durability with excellent performance away from the lights plus quiet, smooth operation and reduced CO2 production. 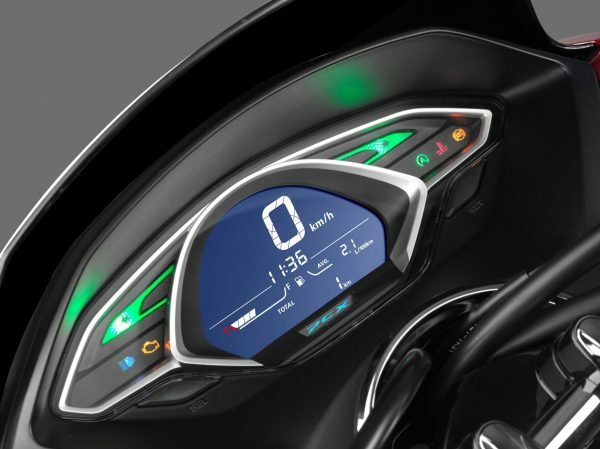 LCD: An inverted LCD displays the speed, while other information available includes odometer, trip meter, fuel gauge, average fuel consumption and Idling Stop indicator. 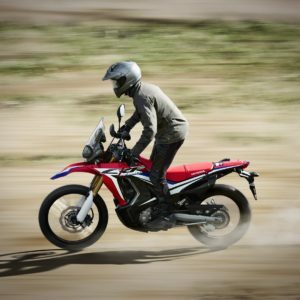 Sit Tall: Seat height is up 4mm to 764mm, but still very manageable with a ‘straddling’ height of 540mm; the new bodywork allows the floor area to extend forward, giving more legroom. 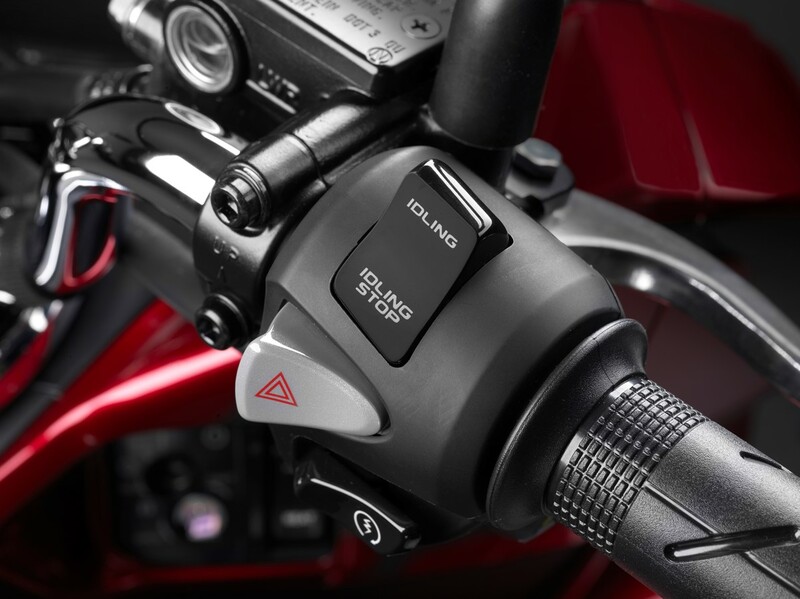 Both the seat and fuel lid are opened via one-touch switches (the seat itself has a sprung hinge, so it stays up when open) and the ignition has a key shutter for extra security. 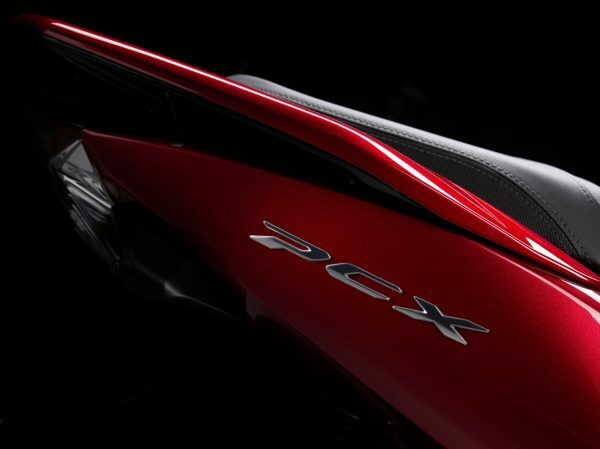 New Style: The new PCX125 expands on the original strong bodywork, and employs new, natural contours of continuously varying curves, delivering a strong visual statement with an upmarket feel. 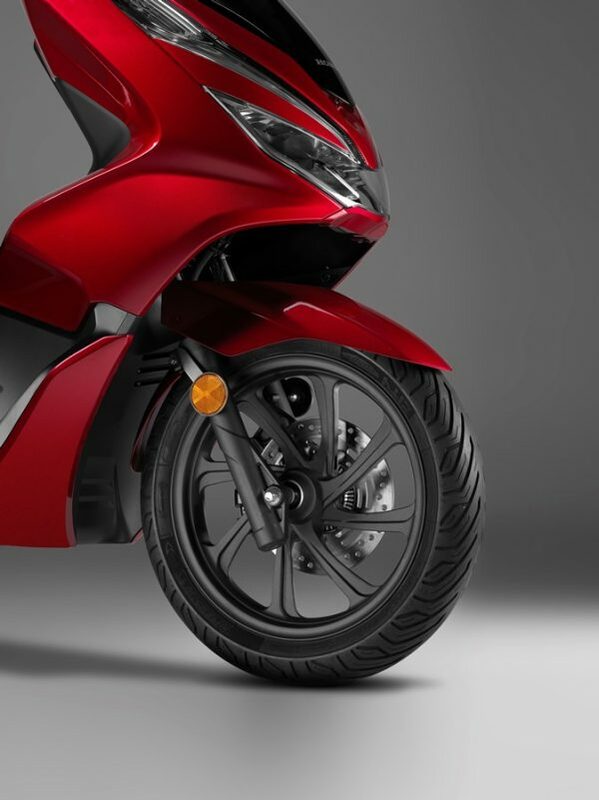 Again, the smooth, large areas are painted in the primary colour and link front to rear without interruption, and the lower bodywork is also much more integrated into the overall styling. 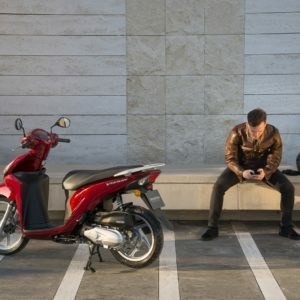 Full Steel: The 2018 PCX125 has a new chassis; the tubular steel ‘underbone’ design of the previous model has been replaced with a full steel duplex cradle. 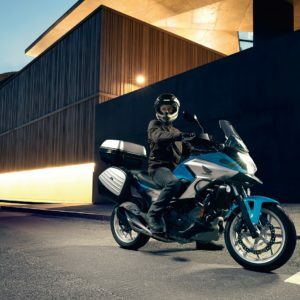 This has improved the machine’s handling ability and feel, without losing the in-town manoeuvrability, plus its user-friendliness and relaxed riding position.